In recent years, Nanning has continued to increase investment in adding green lands and parks. There are more and more parks in Nanning, enabling the public to enjoy the benefits of the green development of the city. 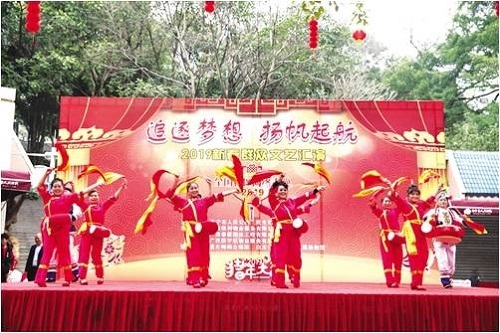 Going forward, it will continue to vigorously promote the construction of parks, with the focus on the construction of Dingshi Mountain Park, Wuxiang New District Central Park, Shajiang River Ribbon Park, etc. Meanwhile, it will accelerate the construction of green lands in the parks and the boutique green lands to improve the green area of the built-up area, in order to provide the public with more and more spaces for leisure and exercises, or children's play. As the citizens’ activity space continues to expand, their happiness will continue to increase.